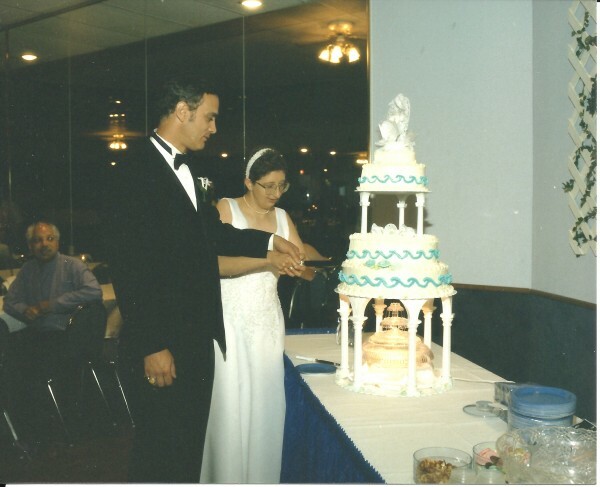 July 24, 1999 14 years ago…. Our two years of courtship have come to an end, today was our wedding day. We met on July 9, 1997. Al and I dated for two years and were ready to begin our lives together as husband and wife. We enjoyed an 8-month engagement and lots of planning. 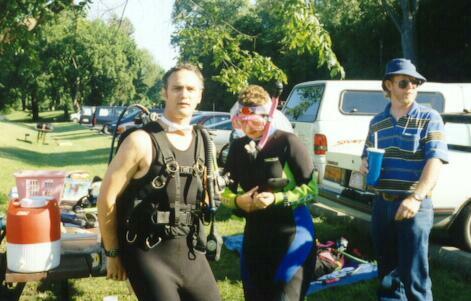 We are scuba divers, and we had planned an underwater wedding at Devil’s Lake in Baraboo. (Some) people thought we were nuts, but we stuck to our guns. THIS was the kind of wedding we were bound and determined to have. The day dawned bright and hot. We had spent the night in a cabin nearby, too excited to sleep much. We arrived at the lake, our guests were arriving also. We got suited up in our gear.. We were ready to dive! We headed to the water excitedly. 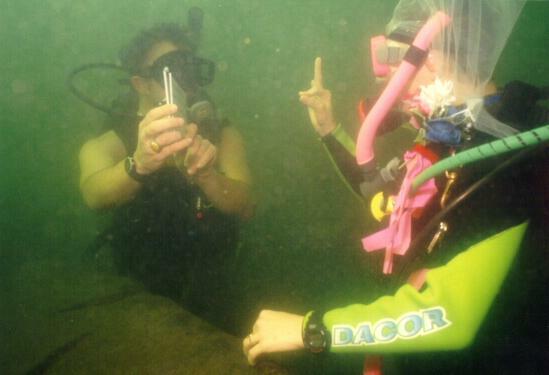 We had spent the last 8 months learning our vows in American Sign Language to “speak” them underwater. The diver who performed our ceremony was a judge, a friend of ours. 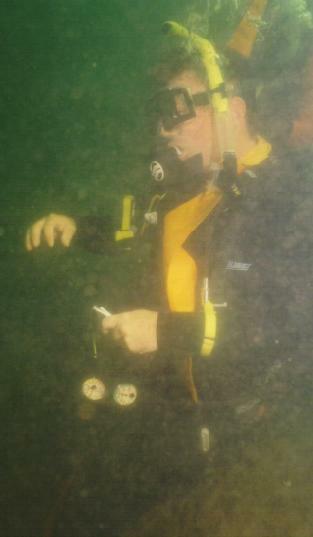 He had previous experience performing an underwater wedding, the year before in Door County for my diving Instructor. We all descended to the bottom, about 20 feet deep. Here is our diving Judge. The ceremony went off without a hitch! We surfaced and signed our Marriage Certificate. We headed back to Madison for our reception at the Sapphire Ballroom, we had around 100 guests who didn’t see us at Devil’s Lake. Here is our family portrait. Our photographer was from Creative Images by “Cal”. They did a great job! Time to cut the cake. We had a water design for our cake since we are divers. The wedding was wonderful, now it was time to go on our honeymoon. We went to Florida for a week. 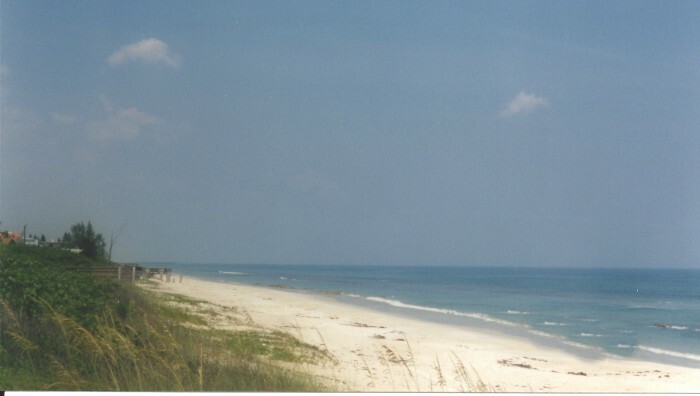 Part of it in Kissimee and the other part in Cocoa Beach. We had our first ocean dives ever, and the water was beautiful. One of our dives was a shore dive from Ambersand Beach Access. On our honeymoon we also took a Deep Diving course given by Joe Bartoszek of Cocoa Beach Scuba Odyssey, who is still an active Scuba Instructor today, and our friend. 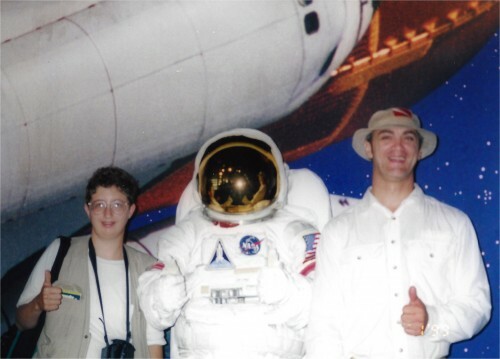 It was out of the Fishing And Diving Center in Cape Canaveral. 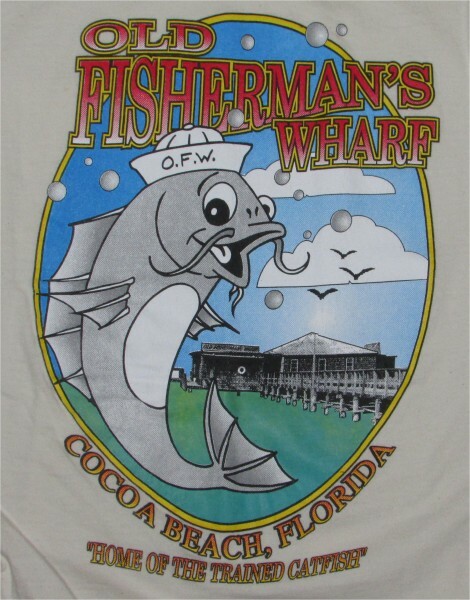 A favorite restaurant we went to was Old Fisherman’s Wharf in Cocoa Beach. 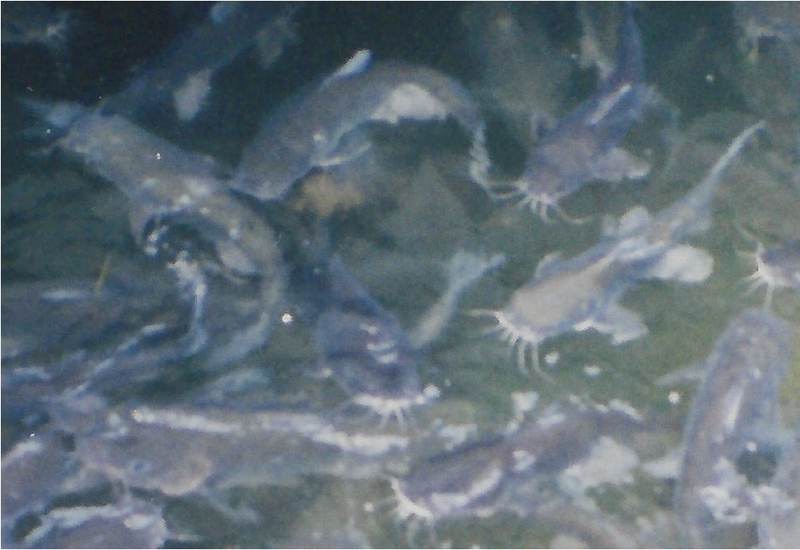 The attraction was their catfish, you could feed them from the pier that the restaurant was on. I don’t think they are there anymore, I am sure glad I got a t-shirt from there. We had a wonderful time in Florida, and looked forward to many more adventures, the ones you are reading about now 🙂 Thanks for joining us on life’s journey. ← Waunakee is Where You Wauna Be!